Snapdragon 410 was Qualcomm's first chip to do 64-bit mobile computing back in 2013, and we've seemingly come so far ahead, that now the company is announcing a 410E edition... for smart washing machines, TV dongles, medical imaging, robots, and other varying IoT (Internet of Things) paraphernalia. Well, that's the future, so after Qualcomm outed a chipset oriented towards wearables, now it's gunning to put a processor in everything around us, too. Just don't forget to close the door on that 64-bit fridge now. 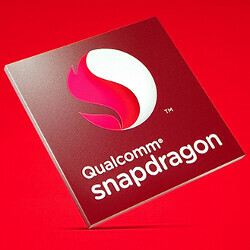 Besides the 410E, the chip giant also announced a more souped-up model, the Snapdragon 600E, for similar IoT purposes. This is actually a watershed moment for the company, as it will be the first time that standalone Snapdragon processors will be given to third-party distributors, initially Arrow Electronics, with a ten-year support and availability promise, which is a big selling point. Thus, each manufacturer, big and small, will be able to buy varying quantities of the 410E or 600E to slap in their gear, making it smart and connected, and will be certain that it will have Qualcomm's back for the foreseeable future. As for the technical details, they don't differ all that much from the smartphone version of the processors, just clocked a tad lower, and equipped with, say, Bluetooth 4.1 instead of 4.0 connectivity. Both are quad-core chips and support 1080p video capture and playback. The 1.2 GHz 410E can run 1080p displays and up to 13 MP cameras, while the 600E is clocked higher at 1.5 GHz, and has support for 2K panels, and up to 21 MP camera sensors. With this announcement, expect to see a lot of commercial and industrial electronics slapped with the Snapdragon and Qualcomm logos pretty soon. SAN DIEGO — September 28, 2016 — Qualcomm Incorporated (NASDAQ: QCOM) today announced that its subsidiary Qualcomm Technologies, Inc. is introducing the Snapdragon™ 600E and 410E processors, for embedded applications in many verticals such as digital signage, set-top-boxes, medical imaging, point of sale systems, industrial robotics, and other Internet of Things (IoT) related applications. Qualcomm Technologies has utilized its mobile investment in Snapdragon processors to introduce solutions for product categories beyond smartphones. The Snapdragon 600E and 410E are being made available globally by third party distributors, initially through Arrow Electronics, for a minimum of 10 years from the Snapdragon 600 and Snapdragon 400 (respectively) product families’ first commercial sampling. This is the first time stand-alone Snapdragon processors are available by distributors, making them accessible in a variety of quantities to manufacturers of all sizes for embedded computing and IoT products. The Snapdragon 410E 1.2GHz quad-core processor offers high performance, low power consumption and rich multimedia with a Qualcomm® Adreno™ 306 GPU and Qualcomm® Hexagon™ DSP. It supports Bluetooth 4.1/LE, 802.11 b/g/n and GPS, making it ideal for IoT use cases in smart homes, digital signage, medical equipment, industrial automation, digital media players and smart surveillance. Qualcomm, Snapdragon, Adreno, Hexagon and DragonBoard are trademarks of Qualcomm Incorporated, registered in the United States and other countries. Krait is a trademark of Qualcomm Incorporated. Qualcomm Snapdragon, Qualcomm Krait, Qualcomm Adreno, and Qualcomm Hexagon are products of Qualcomm Technologies, Inc. Okay, so when is a robot with 6GB RAM coming??? It won't mean much if Qualcomm can't get the prices down for these chips. Especially when some SBC's and other IoT boards and devices are really inexpensive and accessable for less than $20. Many single processor IoT and other SBCs are even less than $10. Not to mention many of them at the prices I mentioned also come with ram, storage, Bluetooth and/or WiFi, and more. So it's really in Qualcomms interest to keep their prices down low enough, or they will not penetrate much into the IoT market. Off topic but Qualcomm need to gear up their game drastically IMO.